Canada is well into our federal election campaign, which came about after the opposition parties united to adopt a motion of “non-confidence” against the minority Conservative Party government of Prime Minister Stephen Harper. Voting takes place on the 2nd of May 2011. Canada follows the British model of parliamentary democracy. Thus we do not get to vote directly for Mr Harper, Liberal leader Michael Ignatieff or NDP chief Jack Layton unless we happen to live in their particular riding. Citizens may vote for the official local party candidate of our choice for Member of Parliament (MP) to the House of Commons. The party winning the most number of ridings or “seats” in the House (regardless of total national popular vote) has the opportunity to form a government. The Honourable Jason Kenney was named Canada’s Minister of Citizenship and Immigration at the end of October 2008. He has been by far the most active minister ever seen by this blogger in my 25 years of legal practice. Consider this illustration. When changes are made to immigration law, policies or practices, these are published online in official “Operational Bulletins”, or “OBs”. 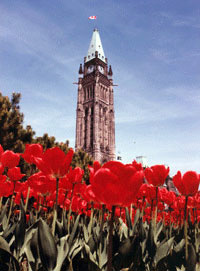 Canada’s current immigration legislation, the Immigration and Refugee Protection Act (or IRPA), came into force at the end of June 2002. During the first six years and four months of its operation under Liberal then Conservative ministers, a total of 89 OBs were published. That seems like a lot, but on average there were under 1.2 OBs published per month. But during the 29 months since Mr Kenney has been Minister, another 200 OBs have been issued. That’s an average of almost 6.9 new OBs per month, a huge increase to the pace of change. Is the train going too fast? Changes during Mr Kenney’s tenure have covered virtually every aspect of Immigration law, including refugee procedures and appeals, student permits, work permits, sponsorship, skilled workers, investors, cracking down on so-called “ghost” consultants, and some changes to the Citizenship Act. Mr Kenney has shown a somewhat abraisive side on some issues, though he gained positive recognition in the legal community for his willingness to consider and negotiate changes to the original version of the refugee reform bill before its final adoption by Parliament. It is obvious that he is very committed to reforming Canadian Immigration and Citizenship law. Although it must be admitted that a number of the changes made were welcome, there is something to be said with a slower approach so that professionals and clients alike have a more stable environment in which act. The rapidity of the changes is such that immigration lawyers are having a tough time keeping up, let alone private individuals attempting to make decisions on their future and undertake their own applications (never a good idea). In addition, Canada is competing for the “best and brightest” of candidates internationally, and if there is an impression of confusion or uncertainlty, we risk losing strong candidates for immigration to other countries. A current questionable practice is that the department keeps announcing even more changes to the rules while the election campaign is ongoing. In my view, elections are the time to propose new policies, not to change the rules. Changes to the law should be put on hold until a new government has been elected with a fresh mandate, even if it happens to be the same party returned to office. While Immigration changes are being announced on official government websites, which most members of the public do not visit, ominous campaign ads aired by the Conservative Party are portraying refugee-laden ships coming to our shores with the message that only the present government can control illegal migrants. One has to think this is not the best way to promote rational debate. Meanwhile, the Liberals are portraying themselves as the party of openness and “shared values”, but history shows that questionable administrative practices did sometimes take place during Liberal governments. As well, the Liberals had promised a refugee appeal mechanism for many years, but it was only under Mr Kenney that this idea is becoming a reality. What’s in store after the election? Even if Mr Harper were to continue in office, he is not obliged to reappoint Mr Kenney to the cabinet, or to the same position. Prime Ministers often use an election as an opportunity to change cabinet members for a fresh start to their next administration. Given his track record, if Mr Kenney does continue as Immigration Minister, we are likely to see more changes. If this does happen, let us hope that he will slow down the process of reform a little, so that there is more time for reflection on and then absorption of the changes. Perhaps if Mr Harper’s dream of a Conservative Party majority government comes to fruition, Mr Kenney (or his replacement) will not feel the need to hurry with reforms. A majority government would be in power for up to five years before the next election, and would not have the constant worry of facing possible “non-confidence” votes and defeat in the House. For up to date comments on the Canadian election, immigration and citizenship law, as well as the arts in Canada, follow Stephen Fogarty on Twitter.